Posted on 2013/06/18. Used Seiyu. 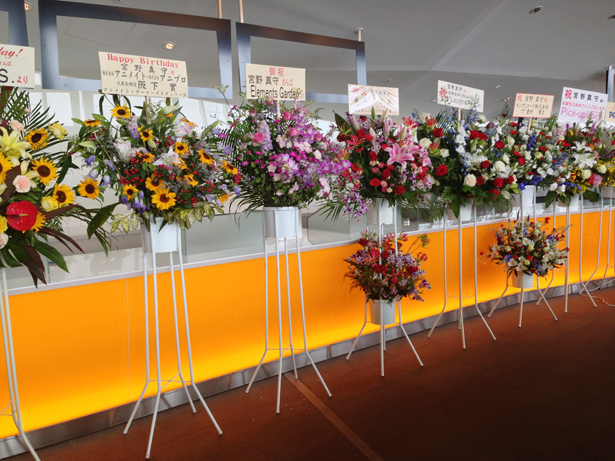 One of the most popular voice actors, Mamoru Miyano(宮野真守)’s birthday concert was held at Maihama Amphi Theater(舞浜アンフィシアター) on June 8 and 9. 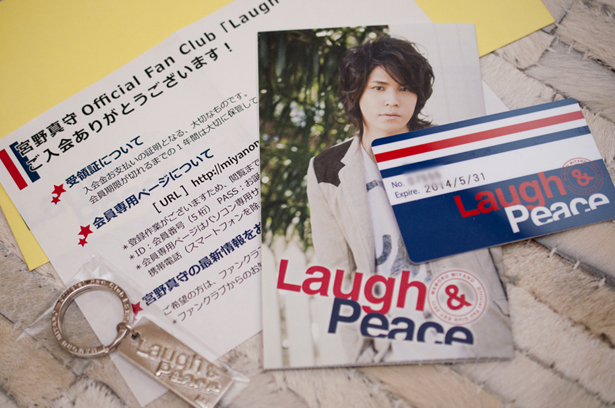 Fortunately I obtained the premium ticket, and enjoyed his amazing performances! Maihama Amphi Theater in the Tokyo Disney Resort. 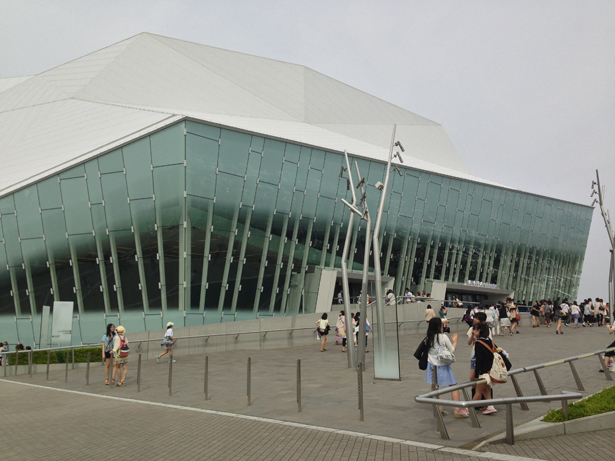 This concert hall was used as CIRQUE DU SOLEIL THEATRE TOKYO before, but now it serves as multipurpose hall. 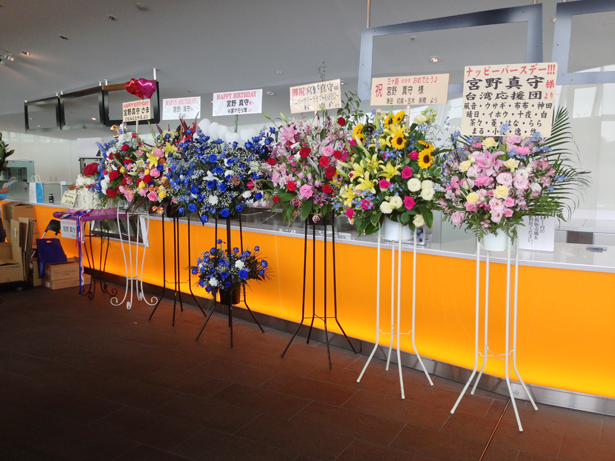 Many flowers from Miyano-san’s business partners and his fans! Found flowers from Taiwan and China! Wow, he is also popular overseas! At this concert, he sang songs that were requested by his fans. 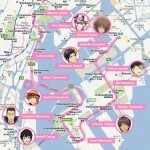 The first stage was J-POP cover songs, and his characters’ songs. The second stage was his top five popular original songs. As far as I remember the set was as following. 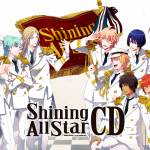 It surprised me that “J☆S” is the most popular song among his fans. My favorite is “Splash Blue”. How about you? This was the first time for me to see his live performances, and I instantly fell in love with him! I made an application for membership in his fan club moments after the concert ended. I believe that you like this video! 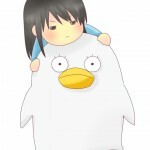 I am a big fan of Miyano-san. I wish I was at the concert. I’ve always wanted to watch him in flesh, and listen to his heavenly voice. He’s really a good singer, a great seiyuu at the same time. I always admire his talent and everything that is amazing about him.